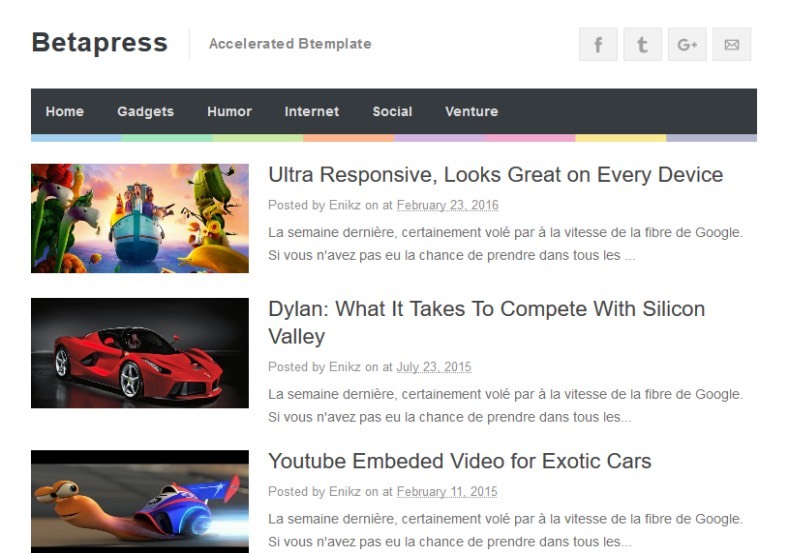 Betapress blogger template comes with simple and magazine design. This template completely dedicated for simple and magazine blogs. 3 Columns Footer, Email Subscription Widget Ready, No Sidebars, 1 Column, Blue, Page Navigation Menu, Magazine, Post Thumbnails, Social Bookmark Ready, Responsive, Ads Ready, Drop Down Menu, Seo Ready, White.